This Sheet Pan Cubano Sandwich with Cherry-Rhubarb Jam is the ultimate cubano sandwich recipe. 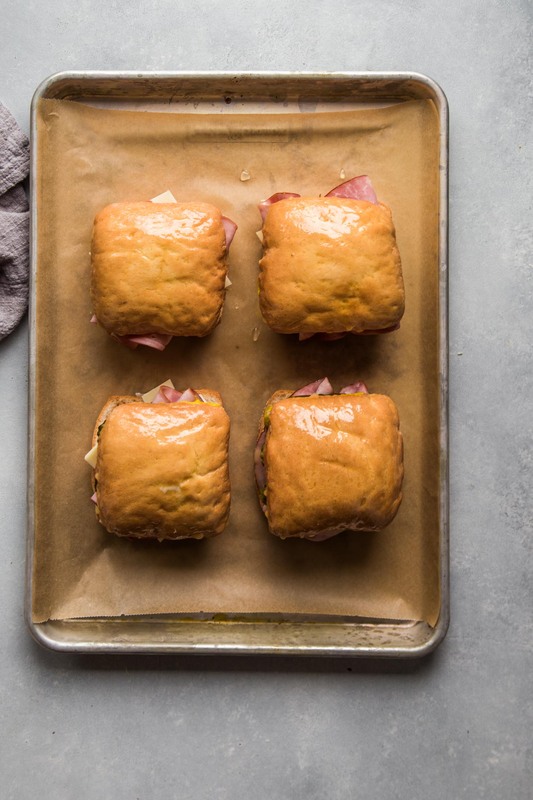 Thinly sliced ham, cuban marinated pork and gruyere cheese are layered with pickles, mustard and a tart cherry-rhubarb jam and then baked on a weighted sheet pan, resulting in a crispy, delicious sandwich. Rick is a sandwich person. I am not. When he gets a craving for something, he wants a sandwich. Me on the other hand, I’ll take a huge bowl of pasta… However, there’s one sandwich that can always win my heart – the Cubano. By definition, the traditional Cuban sandwich starts with Cuban bread that’s sliced and lightly buttered or brushed with olive oil. A coating of yellow mustard is always included, as are pickles, sliced ham, swiss cheese and roasted pork. I just learned on Wikipedia that there’s also a bit of a controversy about whether the cubano sandwich should include salami as well… Mine does not. Using gruyere cheese instead of the traditional swiss variety. Spreading on some tart cherry-rhubarb jam. Baking the sandwiches instead of grilling them. I mean, why not switch things up a bit and have some fun with the traditional Cubano Sandwich recipe? I thought that the gruyere cheese would make a delicious substitute for the swiss cheese. A bit less sharp, but with that same nutty creaminess, the melty gruyere was absolutely delicious with the tangy pickles and yellow mustard. Layering on the flavors even more, I decided to spread on a tart cherry-rhubarb jam. That pop of fruit flavor with just a hint of sweetness was amazing with the sweet ham and the rich gruyere cheese. So good you guys! 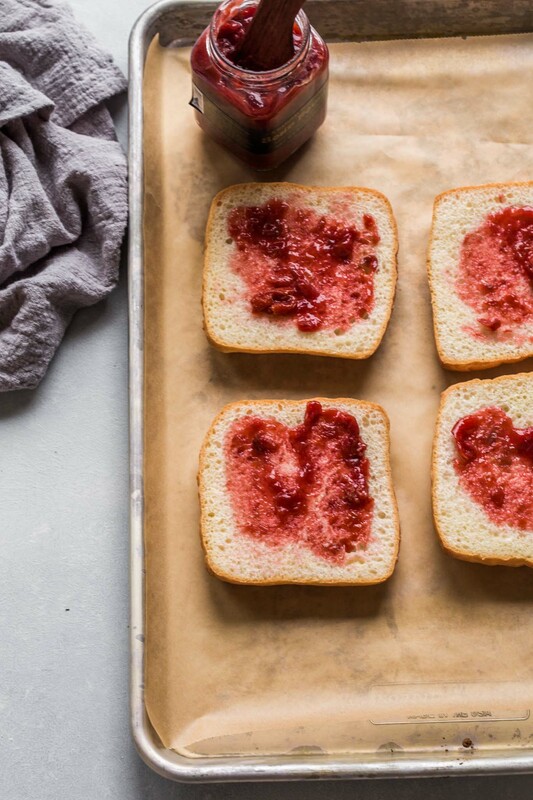 I was able to find the jam easily in my grocery store, however, if you can’t locate it, you can always swap in just plain cherry jam, or even raspberry. I’ll definitely be playing around with that flavor combination in the future too. 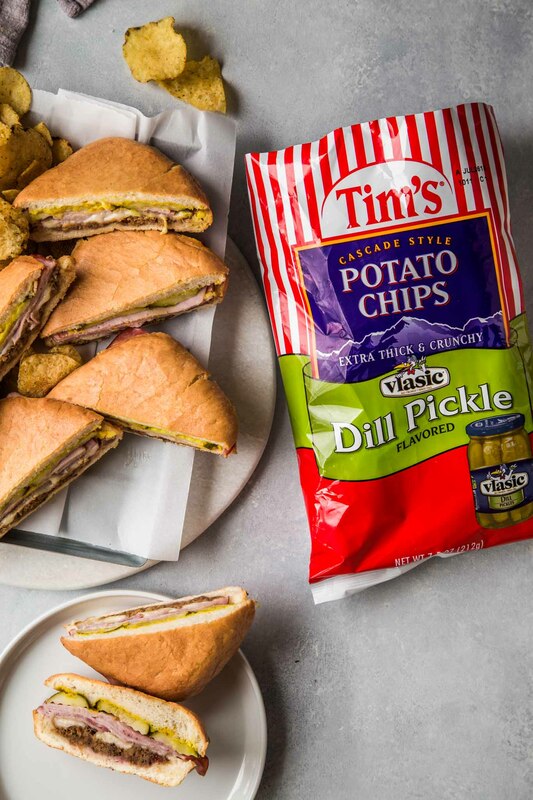 Most likely, you’ll not find cubano sandwich rolls in your local market. I did not. So instead, I used some torta rolls. 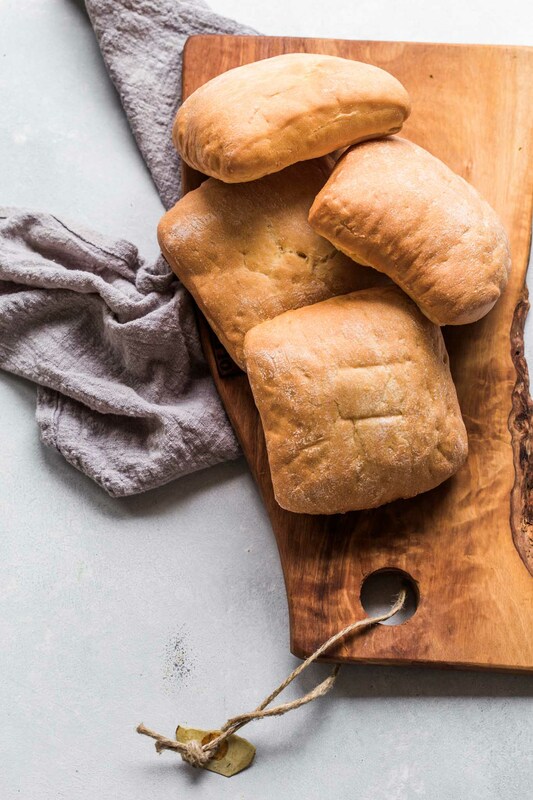 Ciabatta, hero rolls or even a baguette would also work here. As for the meat, I piled in some thin-sliced ham and cuban mojo-marinated pork that I had made in my Instant Pot the night before. I’d highly suggest making that cuban pork – it’s amazingly delicious. But, if you’re short on time, feel free to use store-bought roast pork. 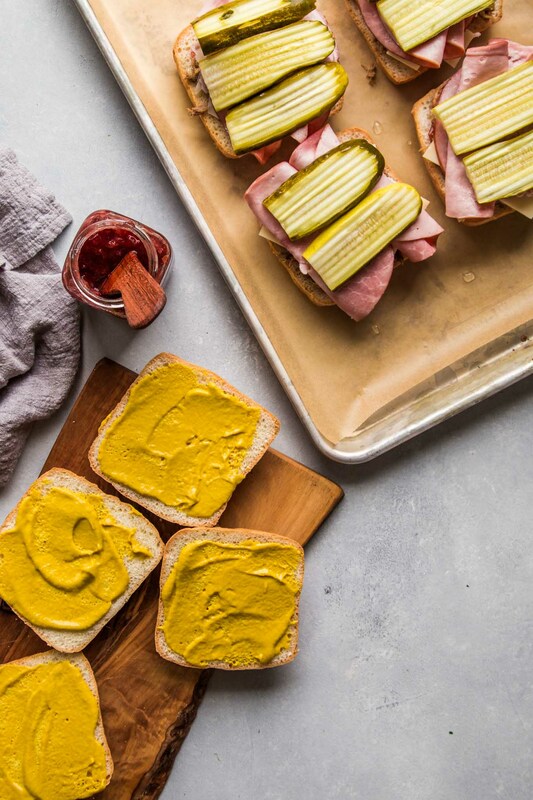 I used those long, thin sliced pickle slices in these sandwiches, and definitely gave them a good slathering of mustard. Here’s a tip for you: To give them even more pickle flavor, and to ensure that the inside of the sandwich stayed moist as it cooked away, I also drizzled a bit of the pickle brine onto the cut side of the sandwich top as well. Brush each top bread slice with 1 teaspoon pickle juice and mustard. Spread the jam on the bottom slices, then layer on the ham, pork, cheese, and dill pickles. 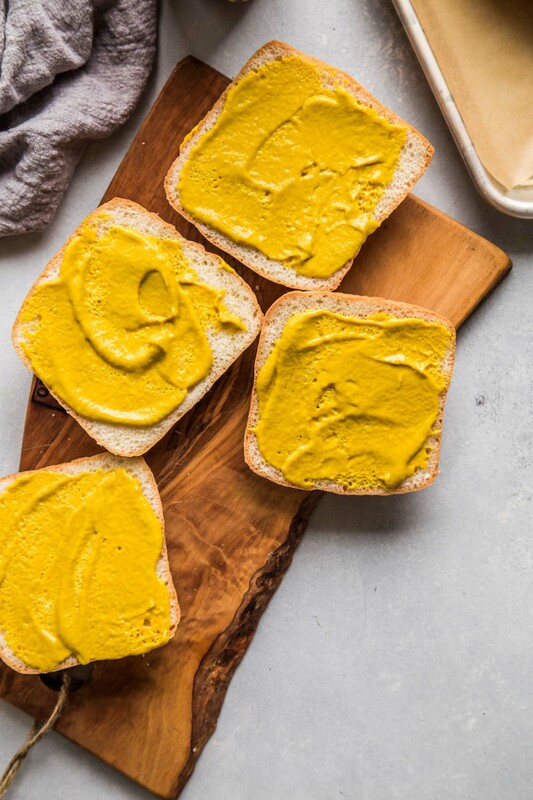 Brush the top and bottom of the sandwich with melted butter and place on a baking sheet. Place a second baking sheet on top of sandwiches and press lightly. 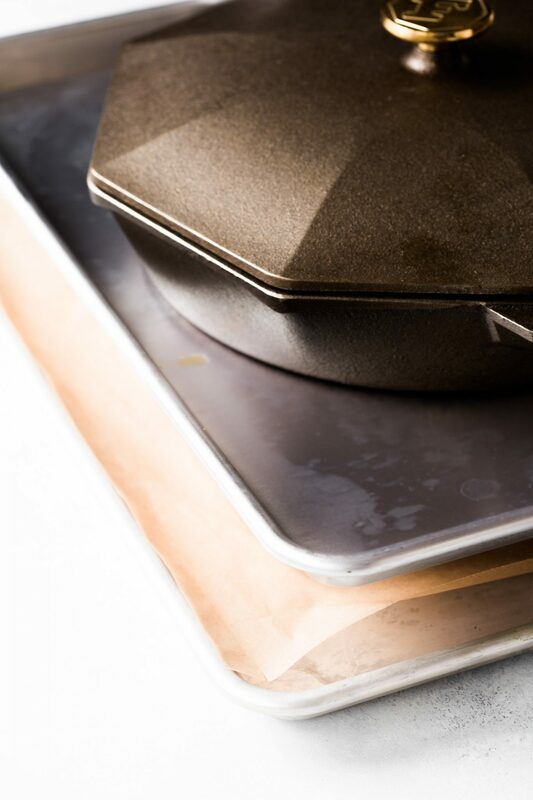 Place a large cast-iron skillet on top of baking sheets to press. Bake for 20 minutes, or until bread is golden and cheese is melted. Let cool slightly, then slice each sandwich in half on the diagonal and serve. 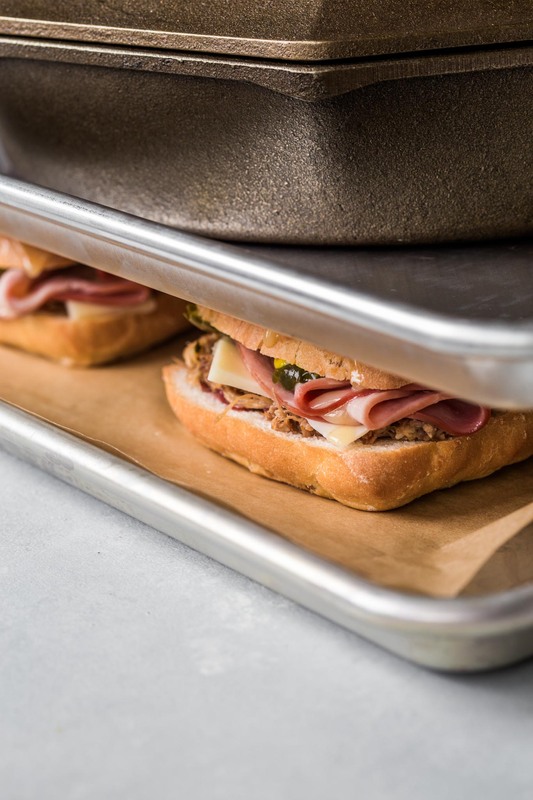 If you loved this Sheet Pan Cubano Sandwich I would appreciate it so much if you would give this recipe a star review! Also, be sure to snap a picture of your sandwich and share it with me on Instagram using the hashtag #platingsandpairings and tagging me @platingsandpairings. 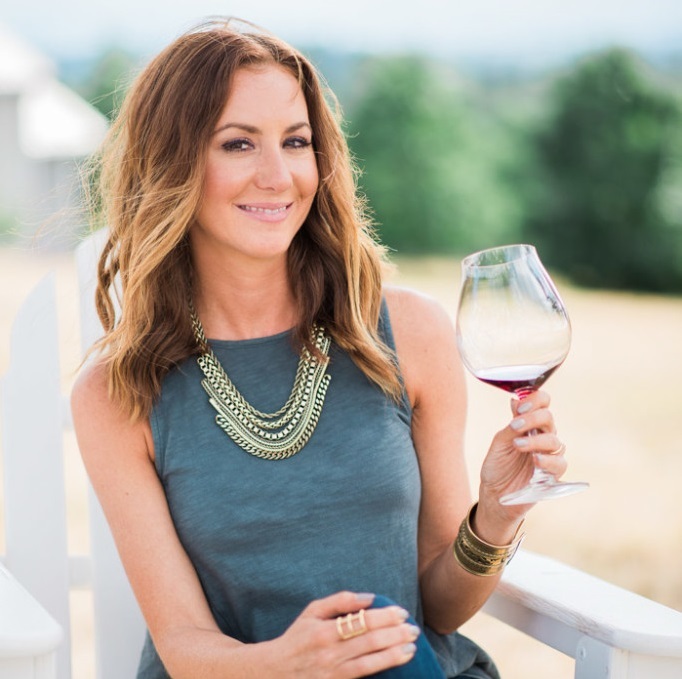 Try an Oregon Pinot Noir with this sandwich. Hints of red cherries, a bright acidity and soft tannins will pair well with the cherry jam, but won’t overpower the delicate flavors of the ham and gruyere cheese. For a white wine option, I’d lean towards a Vinho Verde. Its bright acidity, and slight effervescence will be amazing with the tangy pickles and creamy cheese. I’m with you: I’m not normally a sandwich person. But, this Cubano sounds so flavorful, and I love the idea of using the meat from your IP Cuban Mojo-Marinated Pork recipe! 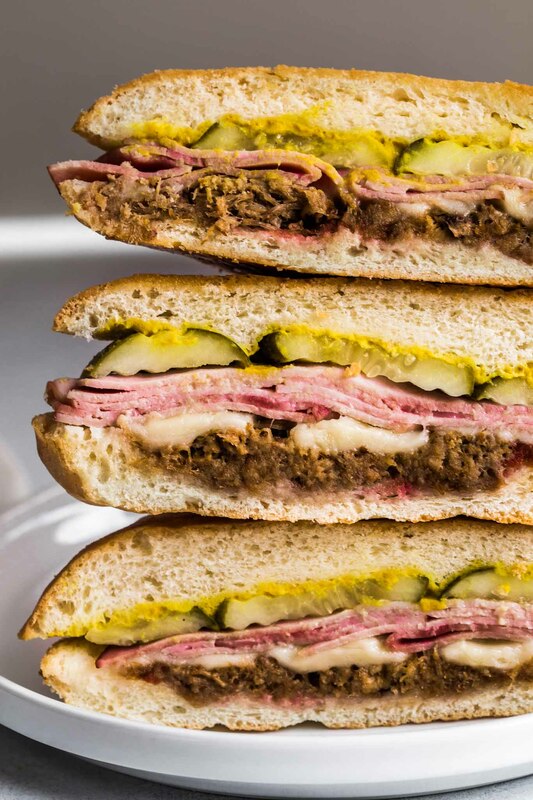 I’ve never tried a cubano because I am very anti-pickle and mustard, but your version has enough going on that I think those ingredients could be removed and it still would have great flavor! I’ll have to try it! I’m totally with you when it comes to sandwiches, and my hubby is definitely like Rick (total sandwich lover!). I do have a weakness for a good cubano though. We smoke our pork (of course 😉 and I’ve found that Banh Mi rolls are perfect for these. They’re soft on the inside, but get nice and crispy on the outside, and easy to bite your teeth into and chew. Yum!